← Don’t Kick the Robo Dog. 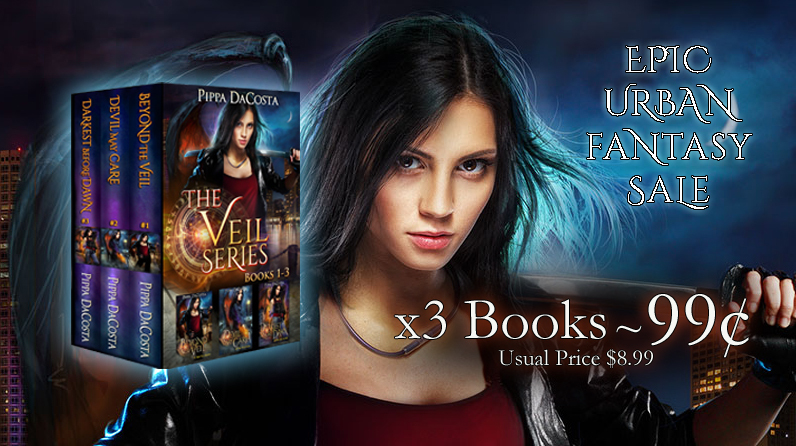 Epic Urban Fantasy Sale by Pippa DaCosta – 3 for .99! Muse must decide whether to trust a Prince of Hell or the assassin sent to kill her. Little do they know, she’s more dangerous than both. Discover the epic urban fantasy series readers describe as epic, action-packed and mind-blowing! This entry was posted in Books Blog and tagged Books, Pippa DaCosta, Sale, Urban Fantasy. Bookmark the permalink.